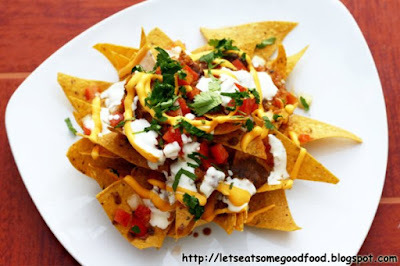 Easy Nachos Recipe – Eats Yummy! 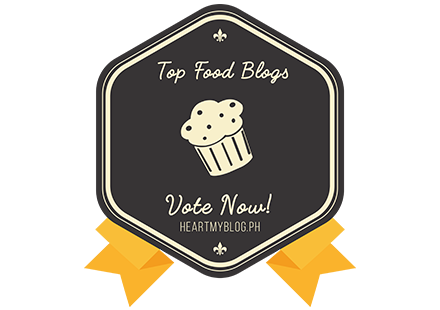 Who wouldn’t love this food recipe? Nachos is a Mexican food which is usually served as an appetizer or a snack; especially in drinking sessions. Nachos has a lot of variety, depending on the ingredients you put in. It can be plain or with a lot of toppings. But here’s a simple recipe for this good food. You may choose to add tomato, bell pepper, onions, olives in addition to the ingredients above. Arrange a layer of tortilla chips in a shallow baking pan. Better if you use the same baking pan as the serving pan, or a ceramic platter. Spread refried beans over the chips, be sure to make the layers of tortilla chips thick so it wont break when mixed with refried beans. Add the beef and sprinkle jalapeño peppers on top of chips and beans. Bake in oven for 5-10 minutes, 5 minutes in convection oven. Sprinkle the remaining topping ingredients. Cilantro, tomato, bell peppers, etc. And then add cheese and sour cream. Salsa of your choice as dip. Nachos! It's easy and delicious snack. 🙂 Your Nachos looks fantastic! I am always surprised by how much nachos cost in restaurants. They are so simple to make at home. You can really spice them up for a fraction of the costs. Love nachos! Love Nachos! Love making them at home, so you can do whatever you want with them!